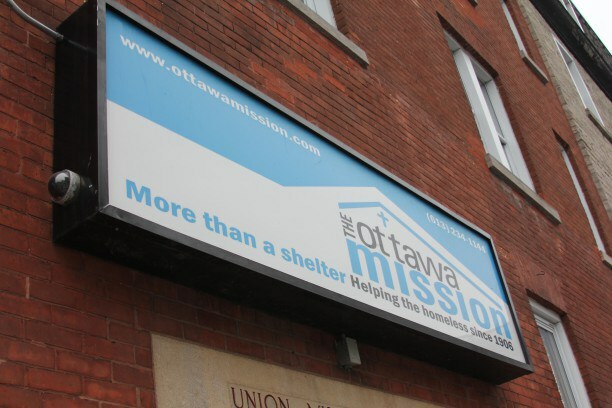 The Ottawa Mission on Waller Street is expecting to serve close to 1,200 warm meals on Christmas Day. There are a number of locations offering up free meals this Christmas so that needy families and the homeless have a place to be with others and don’t go hungry. The Ottawa Mission is serving up a turkey lunch and dinner from 11 a.m. to 4 p.m.
Spokesperson Shirley Roy said the 40 to 50 kitchen volunteers are expected to prepare between 1,100 and 1,200 meals on Thursday, which is close to their daily average. There are already approximately 250 residents staying at the Waller Street shelter who are expected to remain there through the holiday, she said. In previous years, inclement weather has deterred some people from coming out for the free meal, but it doesn’t seem like it will be an issue this Christmas. Roy said she doesn’t think the weather will keep many people from coming out. Mayor Jim Watson and Coun. Mathieu Fleury are expected to don their aprons on Thursday at The Shepherds of Good Hope as they serve the hungry for Christmas dinner. Anna Silverman, executive director of the Shepherds of Good Hope Foundation, said meals will be served starting from 11:30 a.m. for anyone wanting not just food, but good company, too. “People that live on their own will often come and join us for Christmas lunch so they don’t have to be alone on Christmas,” she said. The Salvation Army’s Booth Centre on George Street will also serve free meals at 8 a.m. and again at 3 p.m.
Other locations serving free, hot meals on Christmas include the Heart and Crown on Clarence Street in the ByWard Market and the Carleton Tavern on Armstrong Street. One of the main reasons we have so many homeless men is that we live in a Corrupt City where fathers are deprived of almost all their legal rights by a Corrupt Ottawa Police and a Corrupt Father hating Judiciary hell bent on a Fascist program of Gender Superiority. It starts with the Corrupt Ottawa Police like Det. Peter Van Der Zander who Fabricates Evidence NOT to charge violent women. had no records or notes of that conference. evidence NOT to charge violent women. bring the administration of justice into ill-repute. If you are a male parent, Ottawa is a dangerous place to raise children.